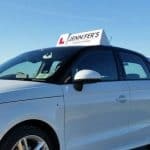 If you would like to pass your driving test as soon as possible, a crash course or ‘Intensive’ driving lessons in Bournemouth with Jennifer’s Driving School are for you! Maybe you have already had some driving lessons and are near test standard and want to get on and pass your test. Or maybe you’re a beginner and want to have more than 1 lesson a week so you can learn and progress towards your test a lot faster. Intensive driving lessons are for people who want to pass their driving test quickly. Instead of having one or two driving lessons a week and taking a few months to reach test standard, you can take more lessons closer together and pass quickly. Having more driving lessons closer together will help re-enforce what you learnt on your last driving lesson and build your confidence! The more free time you have available for driving lessons in Bournemouth area, the better. Intensive lessons are especially helpful if you aren’t able to get any private practice between lessons. With more frequent driving lessons you won’t get a chance to become rusty in between lessons. Everyone is different with how fast they learn. If you are a complete beginner I wouldn’t recommend trying to pass the test with one week of intensive learning, that is usually too much to cope with, but you could pass in a much quicker time by having intensive driving lessons. 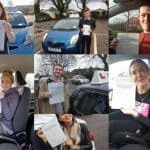 If you have some driving experience, or are a novice who is a confident person and a quick learner, you may be able to have intensive driving lessons and take your driving test sooner than someone who might choose to have one or two lessons a week; we can advise you after the first lesson of approximately how long it might take to reach test standard once we have assessed your current skills. Intensive driving lessons in Bournemouth can be booked in a block; I usually recommend having an initial assessment lesson to begin with so we can note what level of training you will need. If you want to take your practical test straight after you have completed the intensive driving lessons, please make sure you have passed your theory test first and check that we are free at the time of your test if you want to take it in one of our cars. ** You can have as many 1, 2 or 3 hour driving lessons as you want as close together as you want, at £27 per hour, or book a block of 10 lessons £255. If you did want several hours or an entire day reserved for driving lessons just for yourself, please contact me now for a quote and with your preferred dates and times that you would like your driving lessons. ** Driving lessons in Bournemouth are subject to the times we are available. We can get booked up quite quickly, so it is advisable to book in advance if you want several hours together or a whole day reserved. Please check with me if you aren’t very flexible with times to ensure we are available at the specific times you want.